These houses were built between 1875 and 1881, when they first appear in the 10-yearly census. From the outside they appear quite modest in size and local in style, with their red-detailed brickwork and barge-boards edging the gables, but inside they feel spacious and were built with much attention to detail. When new they would have been seen as fashionable modern residences, ideally positioned so near to the railway station, and are still ‘desirable’ in estate agents’ terms. 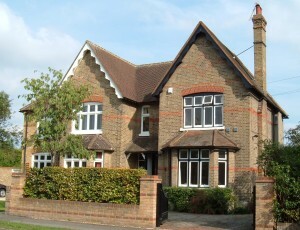 Two of the World War One soldiers named on Datchet’s War memorial lived in one of these houses which was then called Ballymadun, believed to be the modern number 7. Ronald Brakespear occupied the house in 1911, but he moved away after a very public divorce and the house was was taken by Leslie Nugent. Click here to see more information on Datchet Village Society’s War Memorial webpages. 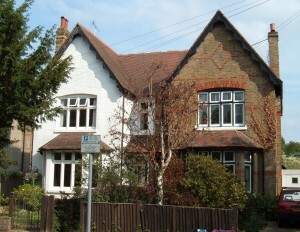 The 1881 occupants of these houses were typical of Datchet’s new arrivals, several of them working in finance, commerce and new communications. They were most likely taking advantage of an easy London commute while living in what was then still the country and also a riverside resort. 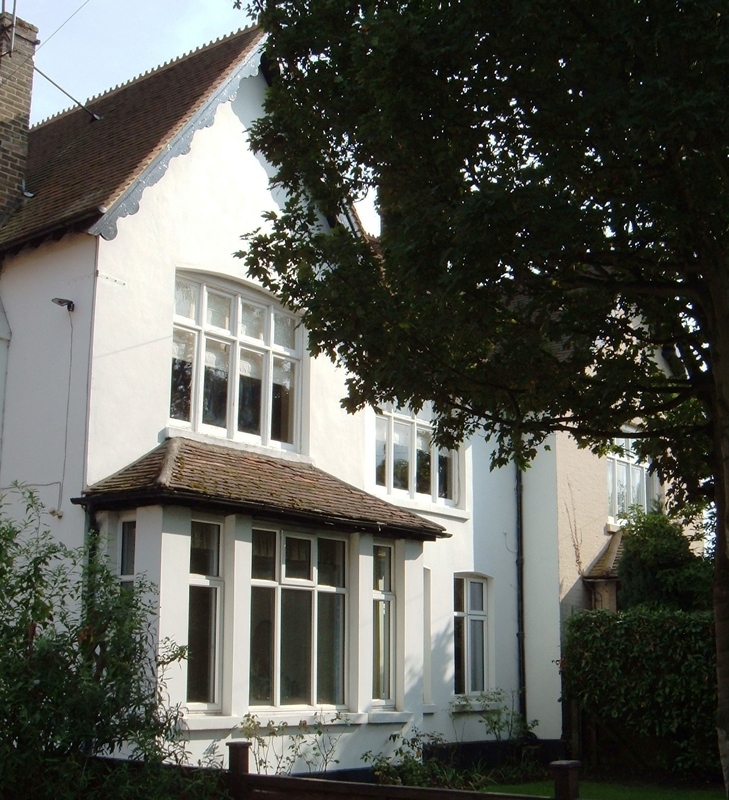 7, The Avenue: Herbert C. Heart, a superintendent telegraph clerk, living with a nephew and two boarders (a member of the Stock Exchange and a solicitor’s clerk) plus a housekeeper and a page. 9, The Avenue: C.Tindal Atkinson, a civil engineer and his brother John Tindal Atkinson, an indigo merchant, plus one servant. 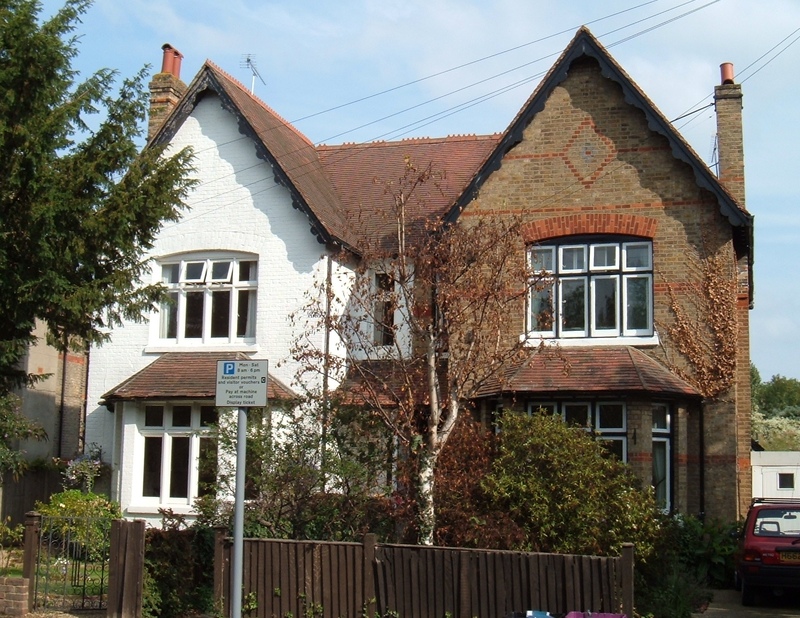 11, The Avenue: Frances Tindal Palmer, widow of independent means (perhaps related to those in number 9), two sons (a law student and a university student) and three daughters, with a cook and a housemaid. Later occupants can now be traced through the 1891, 1901 and 1911 censuses which are the most recent to be released and are available online. Original numbering for the six houses was 1 – 6 The Avenue.